The estate is a 9,500 sq. 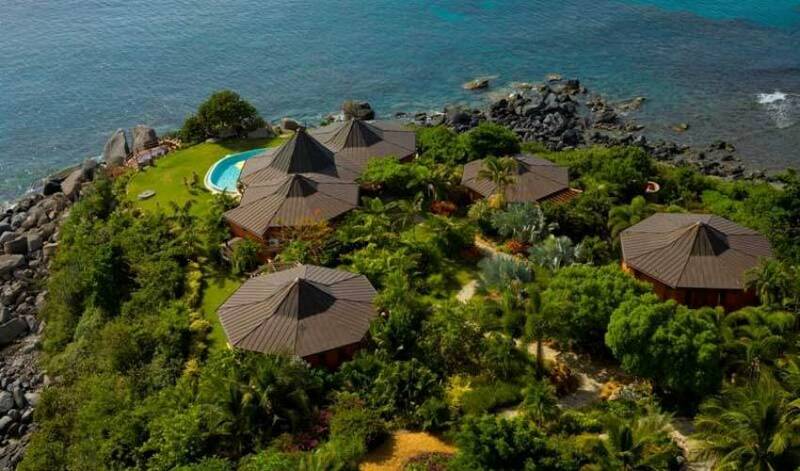 ft. ocean front estate-villa set in two acres of tropical gardens, offering barefoot luxury, a private chef, spa treatments, direct beach access and spectacular views. Rental rates are for exclusive use of the entire estate regardless of the size of your group. Three of the pavilions house five separate bedroom suites, and a fourth larger pavilion incorportates the living, dining and entertainment areas of the villa. This set up lends itself well to hosting group holidays, weddings, retreats and special celebrations of any kind. On your arrival at the Villa you will be greeted with a welcome drink and escorted down a serpentine path through lush palm gardens out of which rise the villa's distinctive copper peaked pavilions. Designed with the discerning traveller in mind, The Villas contrasting colours and textures form the backdrop for a unique blend of interior furnishings, lighting and accessories sourced from around the world to create the villa's exotic style. The Estate features five bedroom suites with separate entrances. Each of the suites has an air-conditioned sleeping area, seating area, dressing area and en-suite bathroom as well as a private deck or terrace offering panoramic views of the Caribbean Sea. All five en-suite bathrooms at the Villa t are done in playful Caribbean coloured glass mosaic tiles and have large indoor showers; two also have outdoor showers, and there is a bathtub in the Mandarin Suite. In addition to their exquisite décor, all suites at the Villa are positioned to capture restful ocean views…and when you close your eyes the sound of the waves will lull you to sleep at the end of every sun-filled day. Despite being individually-decorated, the five suites are similarly appointed featuring quality linens and towels, TV/DVD players, stereos, mini-fridges, and thatched ceiling fans. The Indochine and Rajisthan suites also have smaller, adjoining rooms for children. The Kerala Suite is a heavenly adult retreat featuring rich colours and a giant hand-crafted four poster bed that has quite possibly the best view in the BVI. The suite also features its own plunge pool surrounded by a small sun terrace perfect for sharing a romantic moment while watching a spectacular BVI sunset. 3 master suites have a central sleeping area, sitting room and separate dressing area; all are luxuriously appointed and off limits to children. The VIlla is a haven of peace and tranquillity created with natural materials including hard woods, copper and native stone. Incense diffuses warm soothing scents, and the gentle trickle of a water feature provides a peaceful and sensually engaging environment that has been created to feel like your home away from home. The Living room is a beautifully decorated space with a 28-foot ceiling. Enjoy afternoon tea or listen to music in this most enchanting of spaces… The Villa has an eclectic mix of 300 CDs ranging from contemporary world music and chill-out after hours sounds to pop, jazz, soul, and classical. Recline on the giant hand-made silk cushions that are scattered throughout the media room/library while watching one of 50 DVDs on the villa's widescreen digital TV. There is also a Playstation 2 console, various board games, and hundreds of books of all kinds. Once you have decided on a good book, pour yourself a drink from the bar or have the chef prepare you a special cocktail to be enjoyed on one of the living room's three Balinese day beds, on a pool lounger or out on the sea deck. 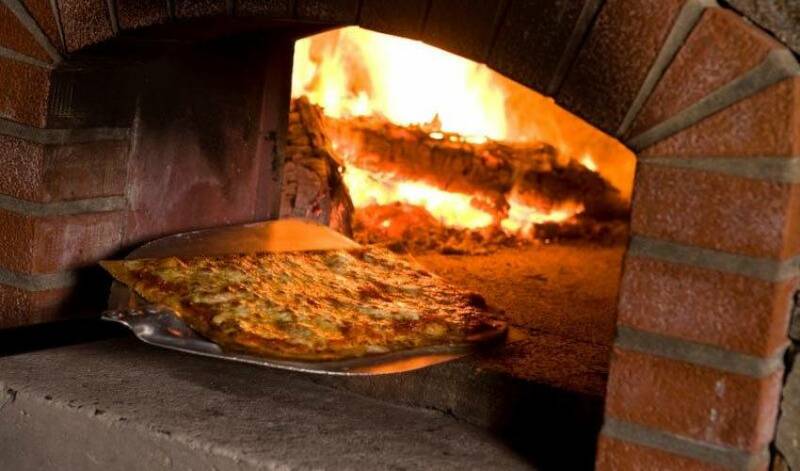 The villa has a professional kitchen featuring a full complement of dinner and glassware, stainless steel appliances, a well-stocked pantry and wine cellar. The Villa offers various meal plan options and sample menus for you to review prior to making a booking. 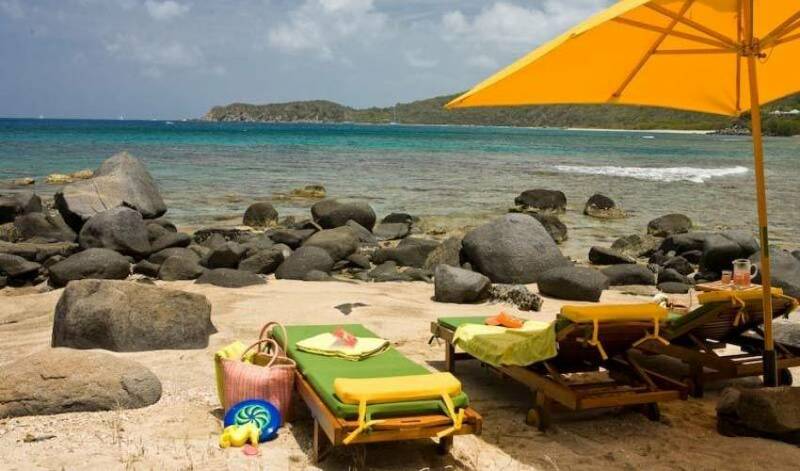 The temperature in the BVI is stable year round-usually in the high 20's (Celsius) or high 80's (Fahrenheit). The villa has eight foot wide eaves, sun umbrellas, ceiling fans and air conditioning in the bedrooms in order to keep you comfortable no matter where you are located in the house. The Estate is equipped with everything you might need for a full and relaxing holiday - from entertaining guests to keeping your children occupied while you take a stroll on the beach, unwind with a good book or keep fit in Baraka Point's gym. When it comes to swimming and relaxing at the Villa, guests can choose from a number of options. There is a 30 x 15 foot infinity edge pool, a smaller plunge pool, direct access to a sun-kissed secluded beach at the Villa as well as several white-sand beaches a short drive from the villa. The main pavilion has a large wrap-around coral stone terrace leading on to an infinity edge pool and a second covered alfresco dining terrace. 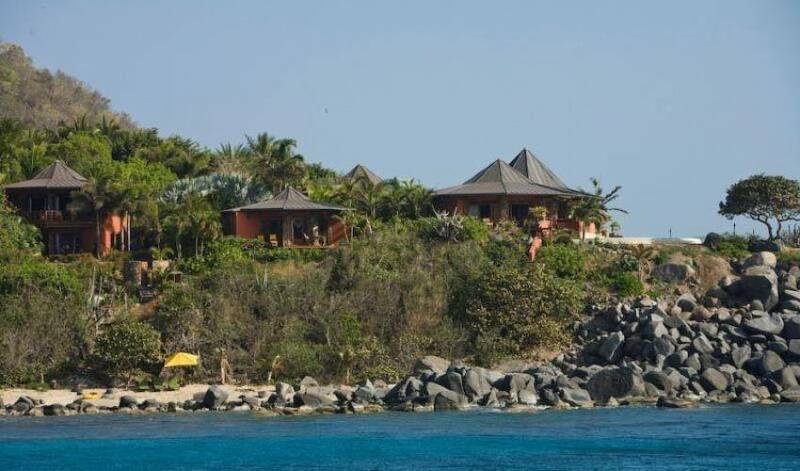 The pool is surrounded by an extensive grass lawn that is framed by the giant granite boulders that are Virgin Gorda's geological trademark. A wooden sea deck set in the boulders and illuminated with large copper torches at night invites you to enjoy cocktails and 230 degree views of azure seas and the neighbouring islands while watching the sun set as the waves lap gently beneath you. 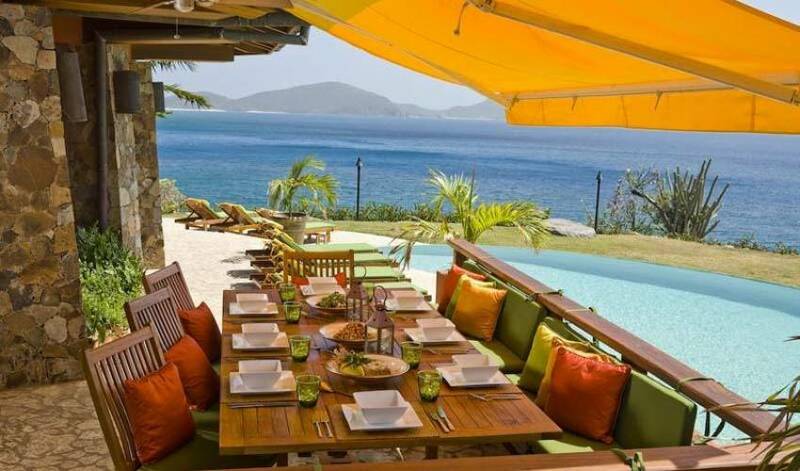 The Villa has direct access to one of Virgin Gorda's best snorkelling beaches…just take a walk through the garden and down the villa's native stone steps right onto the terrace to the private beach. The sandy terrace on Barakas land is for the guests only, but the rest of the beach (3/4 mile long) is public . The Villa is a special place for a special celebration…all you have to do is book the date, tell us what the occasion is and what you want in the way of a theme (if any), and we do the rest! The guests are invited to enjoy island-inspired spa treatments, yoga and Pilates classes in the Villas Wellness & Relaxation Pavilion with ocean views and trade breezes. The Villa doesn't have to be all peace and relaxation… By night the house is lit with lanterns, candles and torches-the perfect ambience for a party, or a romantic interlude...hire a band and dance the night away on the terrace under a star-studded sky - the house was designed for living! Villa Assistant (Butler) works 7 days a week - He is also our watersports man who takes guests out on our ski boat. 2 managers work 7 days a week - Our managers offer a full concierge service as they are full time at Baraka Point, but are not around if guests wish to have full privacy. Full time spa therapist & yoga/Pilates instructor who is also co-managing Baraka Point. She also does personal training and adventure programs for our guests. Spa treatements, yoga and personal training, watersports at a an extra cost, prices vary by treatment/activity. All services received at Baraka Point are paid for at check out by cash or US personal cheque, just as at a resort or hotel. Transfers to and from the villa are included in the rental price. Guests are met at the airport or the ferry dock by the villa's representative and escorted to the car rental desk if applicable, then on to the villa. The third largest island in the British Virgin Islands, Virgin Gorda is truly one of the most precious jewels of the Northern Caribbean. The island is unbelievably picturesque and very friendly, and offers a great deal in the way of land-based and water activities. 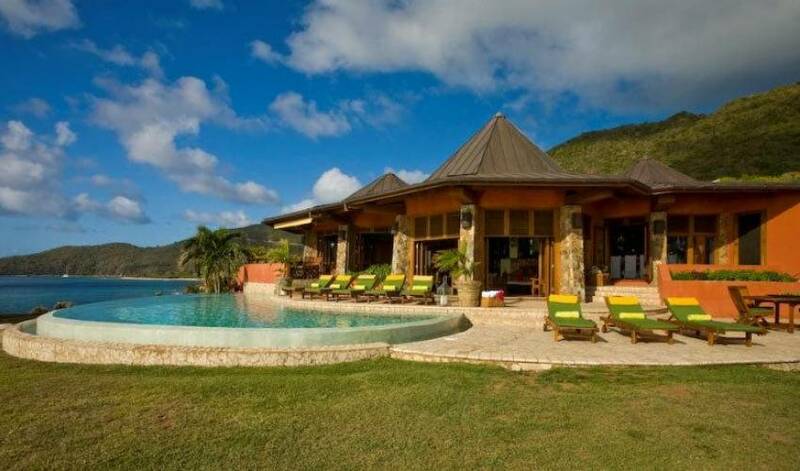 The Villa is located on a secluded point on the West coast of Virgin Gorda, right underneath Gorda Peak. 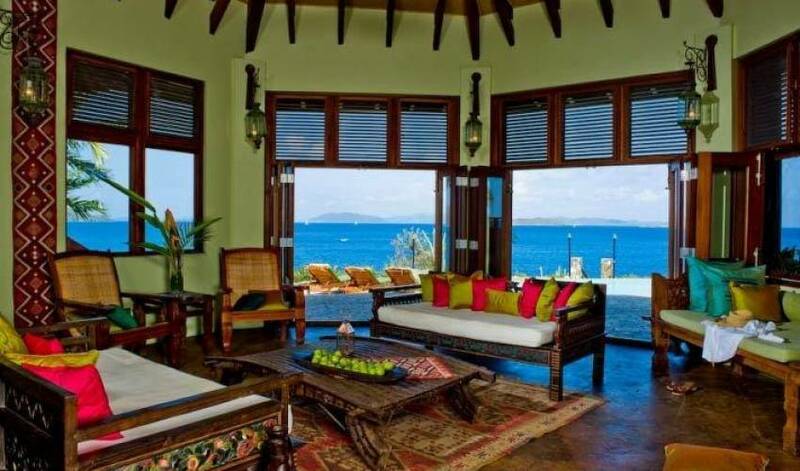 The house is situated to capture panoramic sea vistas, spectacular sunsets and the prevailing tradewinds. Adults: Continental breakfast, lunch & two-course dinner daily (entree & main course or main course & dessert), inclusive of afternoon tea or snack: $95* per person per day. Kindly note there is a supplemental charge for lobster. If guests wish to have only one or two meals per day, you will be charged according to what meals you wish to have and the number of courses you have. For example, if you do not have breakfast or lunch, but have a three course dinner you will be charged from $65 per person /day, depending on your choice of main course. If guests wish to have a cooked breakfast (e.g. eggs, pancakes etc.) there is an additional $15 charge per person. If you have the $95 plan listed above and have a three-course dinner the rate is from $125 per person/day depending on your choice of main course. All beverages including bottled spring water, soft drinks, spirit-based cocktails, wine and champagne are not included in the meal plan and will be charged separately (with the exception of beverages for children). A 20% suggested gratuity to be divided amongst the chef and his assistants will be added to your food and drinks bill unless you indicate otherwise.